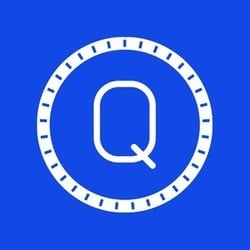 QASH (QASH) - Events, Price, Market Cap, Supply, Exchanges and more! 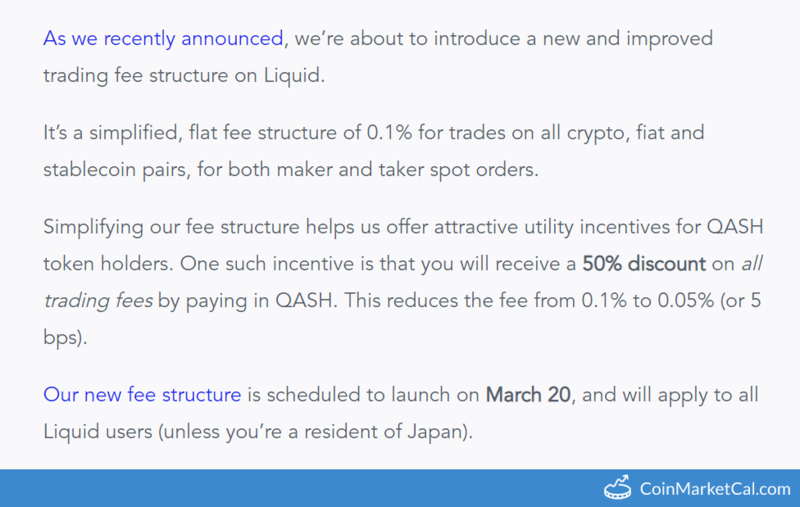 Qash is a token that tries to establish a liquidity platform for the underserved market, by bringing the entire global network of cryptocurrency together. "Prime Brokerage Offering," by end of Q4 2018. 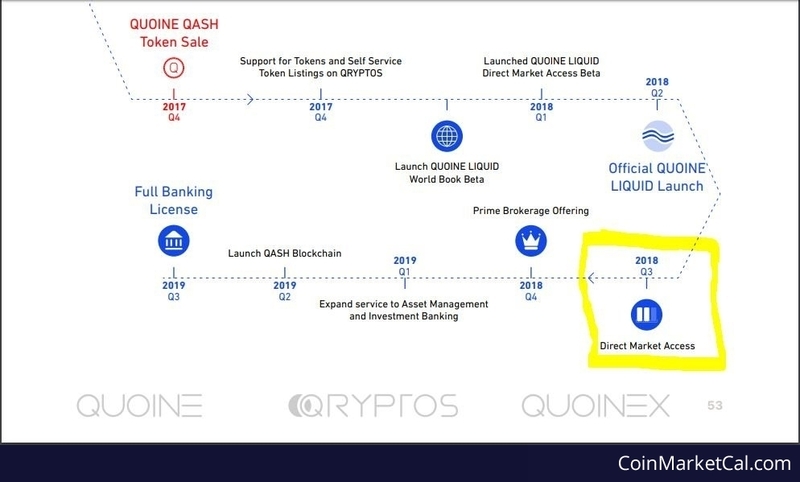 "Direct Market Access," by end of Q3 2018. 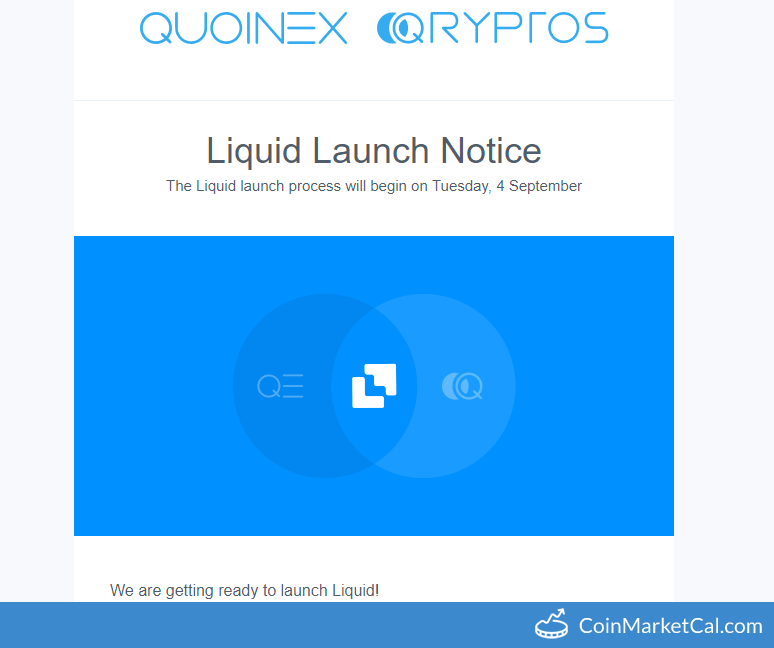 Liquid rollout begins September 4. 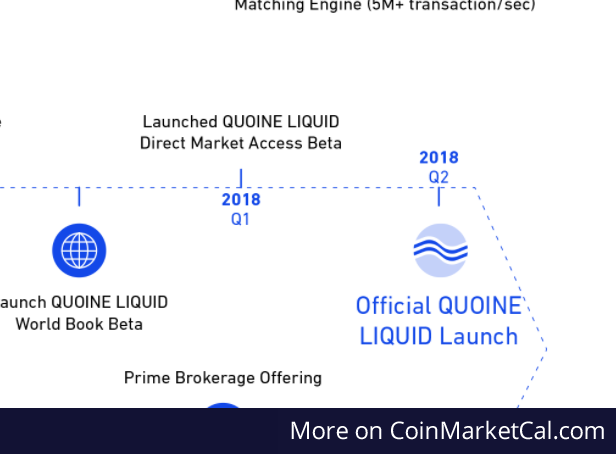 Quoinex and Qryptos merge and become http://Liquid.com. 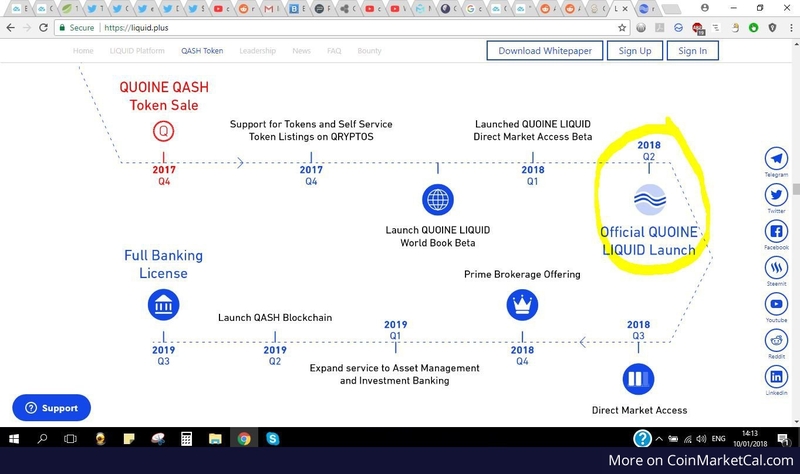 The launch of the official platform. 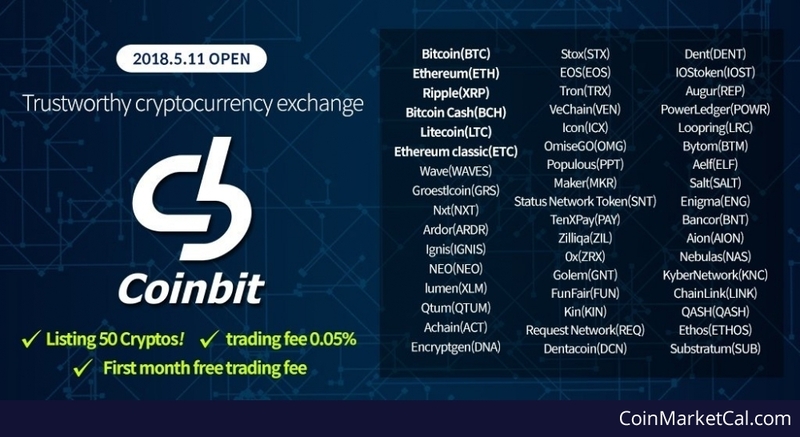 "Hi, Trustworthy cryptocurrency exchange Coinbit. 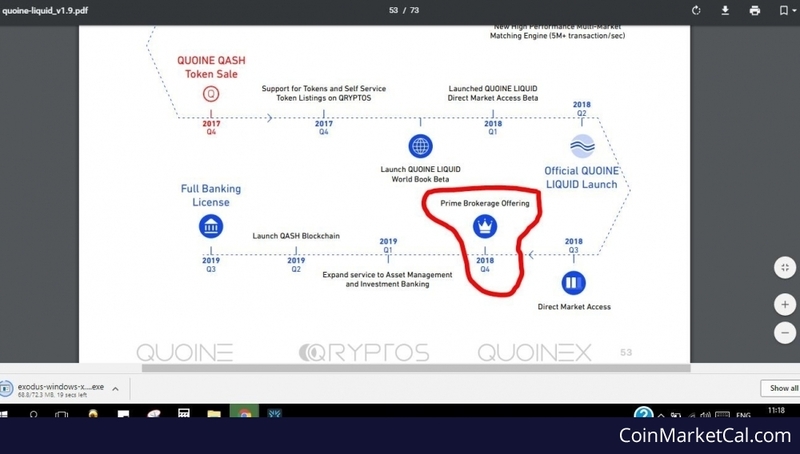 On May 11 2018, listed 50 kinds of coins will be released when Coinbit service opens!" 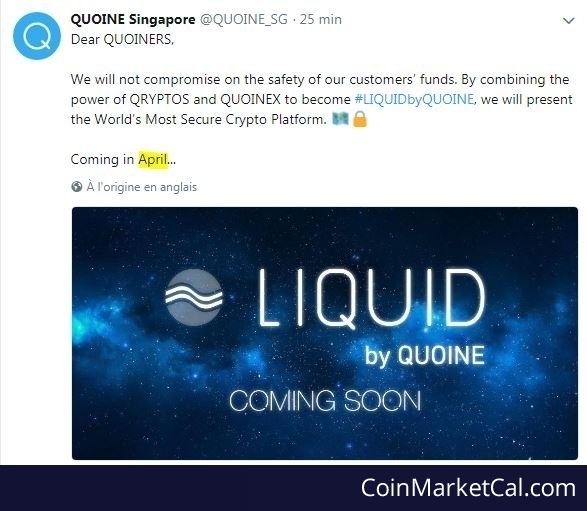 QRYPTOS and QUOINE join in April to become "LIQUID by QUOINE".